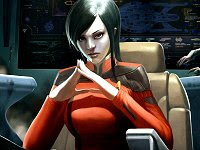 Star Trek Online launched over a month ago, and since then Cryptic Studios has listened to players suggestions, ironing out some of the problems and adding massive amounts of free content. What will the future bring for Star Trek Online? We spoke with Craig Zinkievich, Executive Producer. Alganon is a new MMOG developed by Quest Online, and one that is splitting opinions. We learn more about how the development started, the frustrating comparisons to World of Warcraft, and some of the most important features in Alganon. MMORPG Gate spoke with Hue Henry, Director of Design. Beam me up! Just about a week to go for players to immerse themselves in the first Star Trek MMOG. There's much excitement surrounding this game, one of the major releases of 2010. We spoke with the Associate Project Manager, Dave Haydysch. CrimeCraft is a persistent world shooter that aims to put players in the role of some serious thugs, fighting for reputation and money. Incidentally, recently it became a free to play title. Interview with Matt McEnerney, Executive Producer. Champions Online is an action game featuring heroes you as the player get to create and customize. Once you've created your hero he's immediately thrust into the midst of the action as he's called upon by the super-team known as the Champions to help save Millennium City from an invasion.